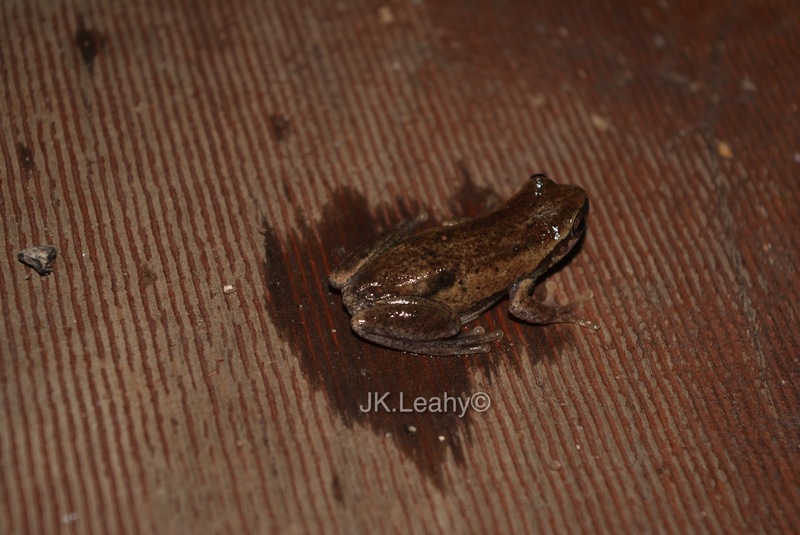 This tiny tree frog was on our house steps tonight. 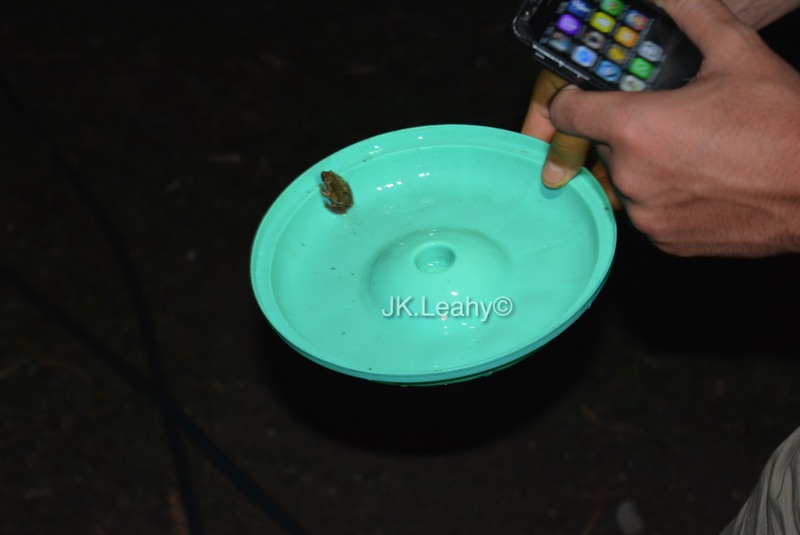 My son spotted the amphibian (and I’m not sure how he did that in the dark at 8pm). Chris called out to me and I ran for my camera. Because the green tree frog pictures were popular in my post this week, I thought you may enjoy another kind of tree frog, this brown one. It is so tiny that it is even smaller than an adult thumb (see picture above). 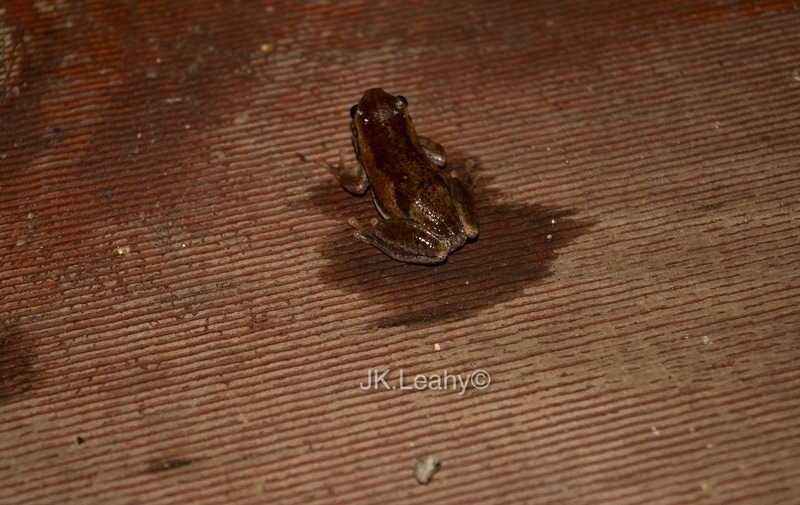 The frog is also called Litoria ewingi or Southern Brown Tree Frog. 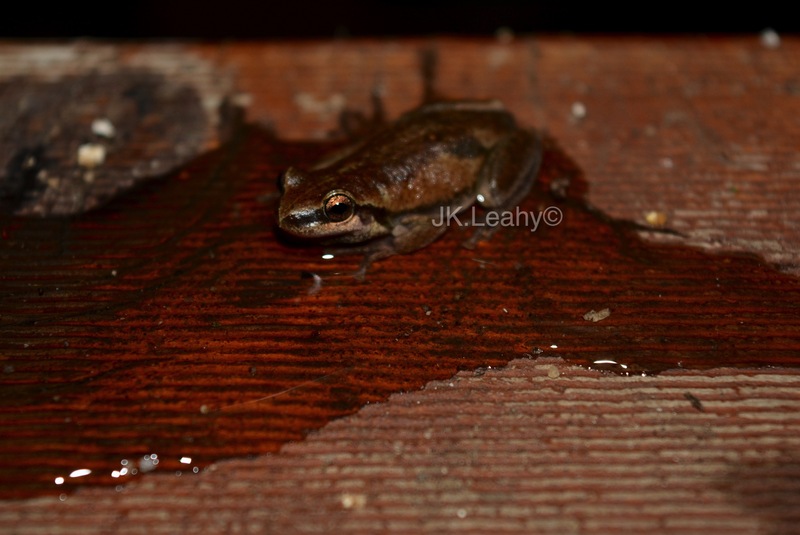 Here are some close-ups which the frog did not enjoy, especially when I used a camera flash. He jumped all over the place and disappeared into the garden after a few shots. I must have terrified it. More frogs around the gardens mean less snakes at our place. 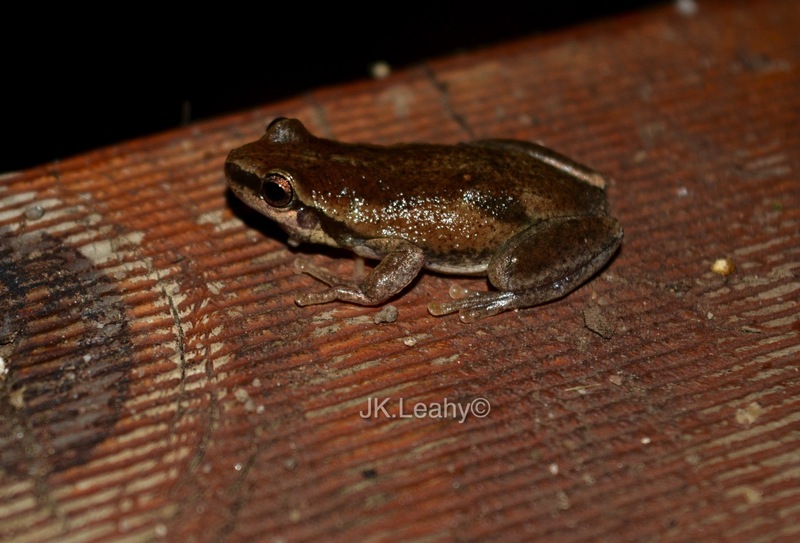 If you want to read more about the brown tree frogs and other frogs we have in this country, visit Frogs of Australia. 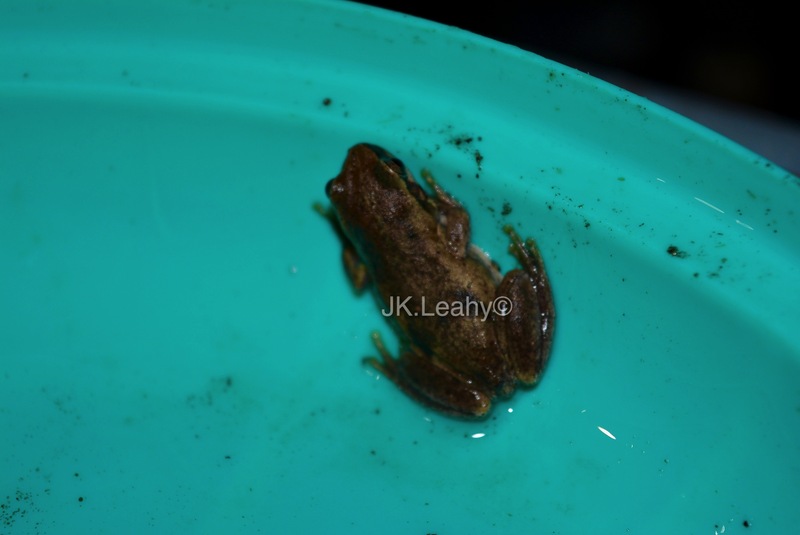 You can also read and see pictures of the green tree frog on this week’s posts. Those little frogs are so cute! There are many little green ones around my house, and they sing loudly before it rains. Glad he tolerated you long enough to get these pics. Hahaha – true. Thank you. Thank you – yes, quite cute.